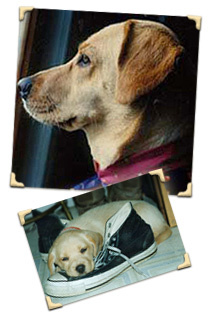 On May 7, 1996, Cayenne left us to join many others in the Elysian Fields to run free forever. She has left behind many friends and a great legacy in Grande Paws, that we will carry on in her name. 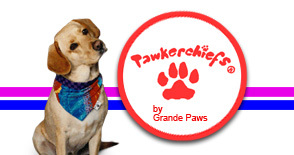 She brought us all joy and love to share in the form of Pawkerchiefs®, a simple idea made for a simple yellow dog, that has given so much to so many of us. She will always have a very special place in my heart. I miss my little yellow dog.